The trend for adopting a plant-based diet continues to grow. With 42% of all vegans being between the ages of 15 and 34, this is a growing market to be catered for. 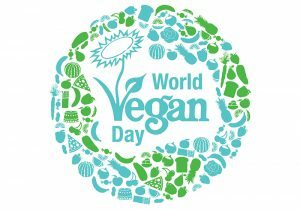 Thursday 1st November 2018 sees World Vegan Day being celebrated. 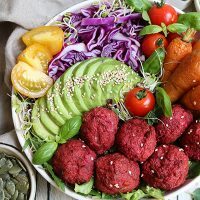 The day highlights how easy it can be to go vegan and is also aimed at education, by informing people of the benefits to the planet and their health a vegan lifestyle brings. 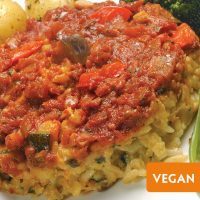 People are encouraged to share vegan recipes, or even how to adapt a meat or vegetarian dish to be vegan. 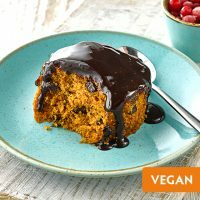 Our growing list of vegan products are proving popular with customers as more menus incorporate a wide range of dishes, desserts and cakes for those following a vegan diet. 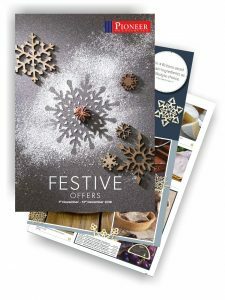 Our Festive Offers brochure is now out and it includes a brand new ‘Free From’ section to help you incorporate vegan, vegetarian and gluten free products into your menus. Here’s a snapshot of just a few of our NEW vegan products which are tasty and delicious! Don’t forget … they are all on offer for the next two months. Sweet and tangy falafels loaded with chickpeas, beetroot and lively spices – simply blended and baked. See our offer for more info. See our offers page for more information on this product. 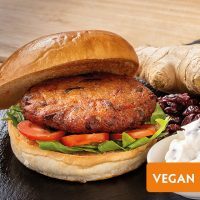 Our new products page has much more information about this tasty burger.